In the first of a new series focusing on famous Italian families, Carol King looks at the family that built the Versace fashion empire. Italians are famous for keeping close ties with their families. That sense of familial connection applies when it comes to doing business too, whether it’s running a pizzeria or an international fashion house as the Versace family does. 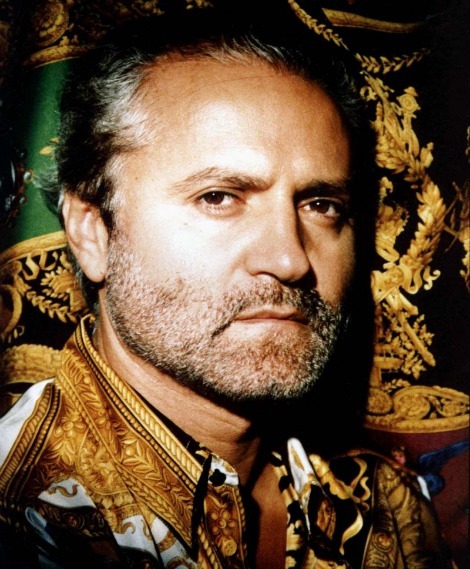 The Versace family owns the Gianni Versace SpA Italian fashion house founded by designer Gianni Versace. He opened the first Versace boutique on Milan’s Via della Spiga in 1978, and created his first collection the same year. The company’s logo is based on the head of a Medusa – the monster from Ancient Greek myth, who had the face of a woman and snakes instead of hair. By the 1980s, Versace was known for innovative designs with vibrant colours, geometric shapes, opulent trimmings and intricate embroidery. The brand’s trademark mix of rock chic and sophisticated glamour is evident in its figure-hugging jeans, studded leather jackets and glittering gowns that have proved a hit among fashionistas on the street as well as Hollywood’s queens of the red carpet. Versace’s flair for extravagance combined with classic couture cuts have made it a favourite of some of the world’s most famous women, including Diana, Princess of Wales, actresses Liz Hurley and Angelina Jolie, and pop icons Madonna and Lady Gaga. Today, Versace is one of the world’s leading fashion houses with 93 stores worldwide. The company makes luxury clothing, accessories, eyewear, jewellery, fragrances, makeup and home furnishings. It also runs the Palazzo Versace hotel chain with outlets in Dubai and Australia. Versace is estimated to be worth more than €690 million (US$897 million) and is expected to create €500 million (US$650 million) in revenue in 2014. Although still a family-owned business, there is speculation that the Versace family may sell a minority stake of the company on the stock market to fund expansion in overseas markets such as Asia. 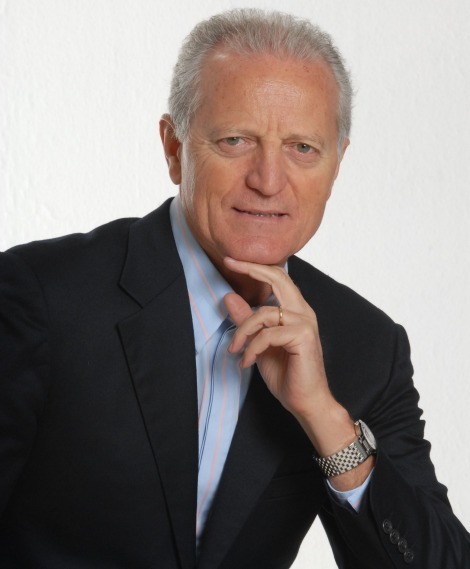 The founder of the family business, Gianni was born in 1946 in Reggio Calabria. His father, Antonio, was a salesman and his mother, Francesca, a dressmaker. One of four children, Gianni’s elder sister, Tina, died at the age of 12 from a tetanus infection. Gianni helped his mother as a child and so developed his interest in fashion, selling some of his first creations from the family store. He studied architecture but was attracted to the world of fashion, moving to Milan in the early 1970s to work in fashion design. Openly gay, Gianni met his partner, model and designer, Antonio D’Amico in 1982. The couple remained together until Gianni’s tragic death in 1997. At the height of his powers, 50-year-old Gianni was shot dead on the steps of his mansion in Miami Beach, Florida. At the time, there was all kinds of gossipy speculation regarding the motive for his murder. When the police tracked down Gianni’s killer, Andrew Cunanan, he committed suicide before he could be arrested. Cunanan began what appears to have been a crazed and motiveless killing spree three months earlier, and Gianni was his fifth and last victim. Gianni’s brother, Santo, was born in 1944. He is married, and has two children Francesca and Antonio. Francesca is a model and fashion designer. Santo graduated from the University of Messina with a degree in economics and commerce in 1968, and went on to work as a banker, high-school teacher and an accountant. He gave up his career to support Gianni, and became the business brains behind the house of Versace, handling communications, sales, distribution, production and finance. Santo owns 30% of Versace. In 1992, Santo co-founded the Associazione delle Imprese Italiane di Alta Gamma (Association of Italian High-Quality Enterprises). From 1998 to 1999, he was president of the Camera Nazionale della Moda Italiana (National Chamber for Italian Fashion), which aims to support and the develop Italian fashion. Santo actively promotes Made In Italy products, as well as the need for Italy to upkeep its tradition of fine craftsmanship in textiles and fashion. In 2008, Santo moved into politics and was elected to the Chamber of Deputies as a member of Silvio Berlusconi’s Il Popolo della Libertà (The People of Freedom, PdL) party. Santo quit the PdL in September 2011 to join the Alleanza per l’Italia (Alliance for Italy, API) party, saying: “I like to work, and in Berlusconi’s party they don’t need someone who works.” Santo left the API in July 2012 and became part of the Gruppo Misto (Mixed Group) of parliamentarians who have no affiliation to any political party. Gianni and Santo’s younger sister, Donatella, was born in the 1959. She has two children, fashion stylist Allegra and musician Daniel, by her former husband American model Paul Beck. Donatella owns 20% of Versace. Donatella started out working at Versace as an accessories designer, before taking over as head designer of the children’s and youth lines. After Gianni’s sudden death, she stepped up from her role as vice-president to assume creative control. Her first few years at the helm were difficult, but by the turn of the century, she emerged as a talented designer. In 2004, Donatella underwent treatment for cocaine addiction. Five years later, she launched the Versace Collection for Women. Under Donatella’s creative direction, Versace moved into home furnishings and hotels to become a lifestyle brand. Gianni left his 50% share of the family business to his niece, Allegra, who was then only 11-years-old. She studied acting, French and art history at the University of California, Los Angeles. In 2007, Donatella announced that Allegra was being treated for anorexia. Allegra went on to work as a theatre dresser in New York, and then began to learn the family trade by working in designer’s studios, acquiring creative and promotional skills. Allegra joined the Versace board of directors in 2011. Now aged 26, she works as a fashion stylist but does not have an exclusive contract with Versace.